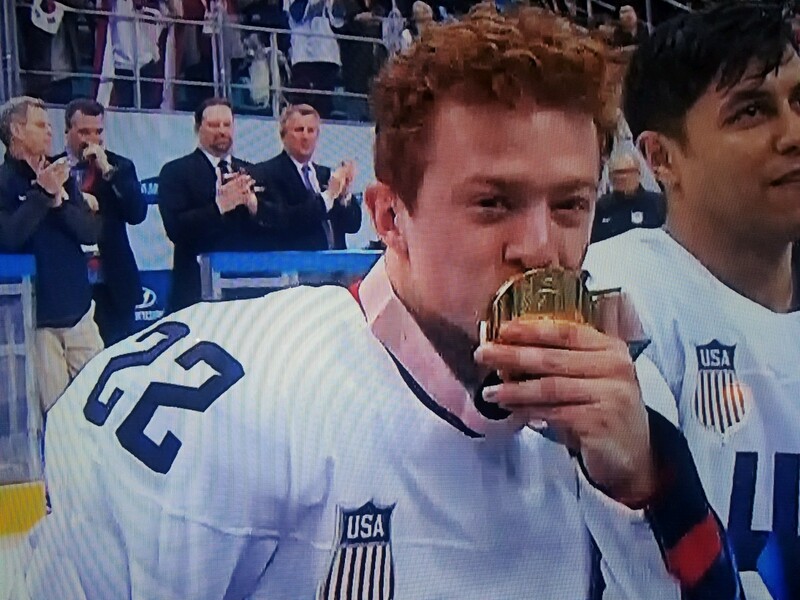 Noah Grove, an 18-year-old sophomore at the University of New Hampshire, is not your average college kid – and he has a gold medal to prove it. Noah plays forward on Team USA’s sled hockey team, taking home a gold medal this year at the Winter Paralympic Games in Gangneung, South Korea. In 2004, Noah Grove had his left leg amputated after being diagnosed with bone cancer at only five years old. He spent nine months in treatment at the Lombardi Cancer Center at Georgetown University. This is where he first met Tracy’s Kids, a Joy in Childhood Foundation grantee that uses art therapy to help young cancer patients and their families cope with the emotional stress and trauma of cancer and its treatment. Noah’s mom also held on to a special stuffed lion missing its left leg that reminds her of Tracy’s Kids’ meaningful impact during their hospital stay. When Noah had his amputation surgery, Tracy’s Kids did “surgery” on Noah’s favorite stuffed animal and returned it to him in recovery. Today, nothing is slowing Noah down. Between college classes, he’s a year-round athlete competing on both Team USA’s sled hockey team and the U.S. Amputee Soccer Team. In addition, Noah makes time to give back to organizations that helped him over the years. He serves as an ambassador for Tracy’s Kids and volunteers with other children’s charities where he visits kids in hospitals who have experienced similar circumstances.